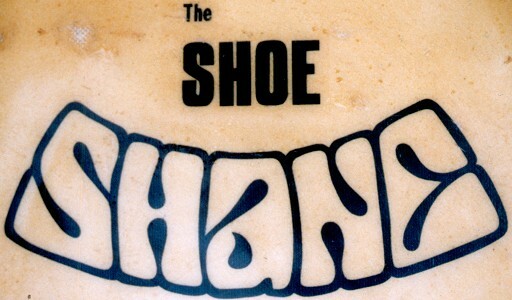 1970 The Shoe by Shane. 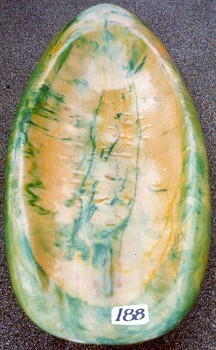 Spoon decked Knee Board 4 ft 11"
The fin is mitred into the blank and has rovings. Catalogue No. 188 : " Shane Shoe... early 1970's, good example, excellent condition." 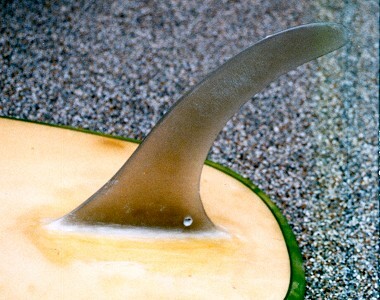 In 1970 Shane Surfboards released a Greenough influenced solid spooned deck kneeboard, known as The Shoe. Shoe by Newport Paipo, California, 1973. The most outstanding photograph of committed high performance surfing up to this date, this level of performance was probably not achieved by stand up surfers for another ten years.